I forgot to share my purchases from Verb in Oakland! One of the “reasons” I “had” to buy stuff was to pay Denny for her excellent sample knitting. 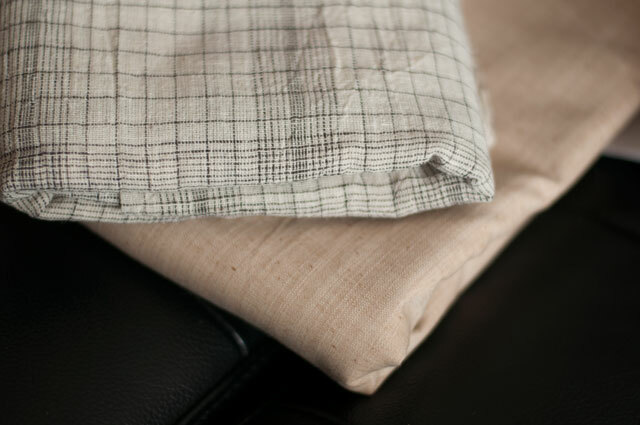 I got just a yard of this wide naturally-dyed linen – I think it’ll be enough for a longish sleeveless top. And a little yarn, of course! I also picked up Sonya Phillips’ Dress No 3 pattern, since she had picked us up from the hotel to go to Verb it seemed like the right thing to do. More new skeins, a few that I spun up in July. It’s a good thing I wasn’t reeeeally doing the Tour de Fleece because this is all I managed. For all of these, I split the top lengthwise down the middle and spun each half onto a separate bobbin, because mine don’t quite hold a full 4oz. Then once all the singles were done, I used the jumbo plying head on my Lendrum to chain-ply them, joining the two bobbins’ worth and hopefully keeping the colours nicely intact. I’m planning to put up some handspun for sale soon so keep an eye out if you’re interested! 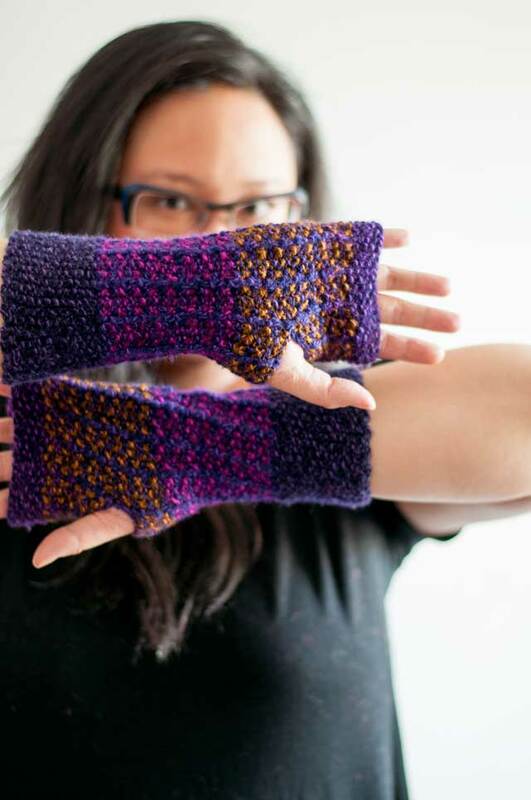 Snooker Mitts: New Pattern and KAL! New Pattern Release! 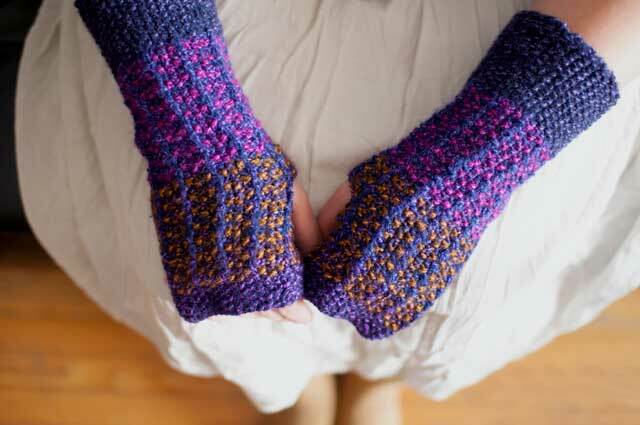 These fingerless mitts are knitted up in Mountain Colors Perspectives Twizzle. This worsted weight yarn is 85% merino, 15% silk – and the silk is a strand plied with the wool, rather than blended with it. 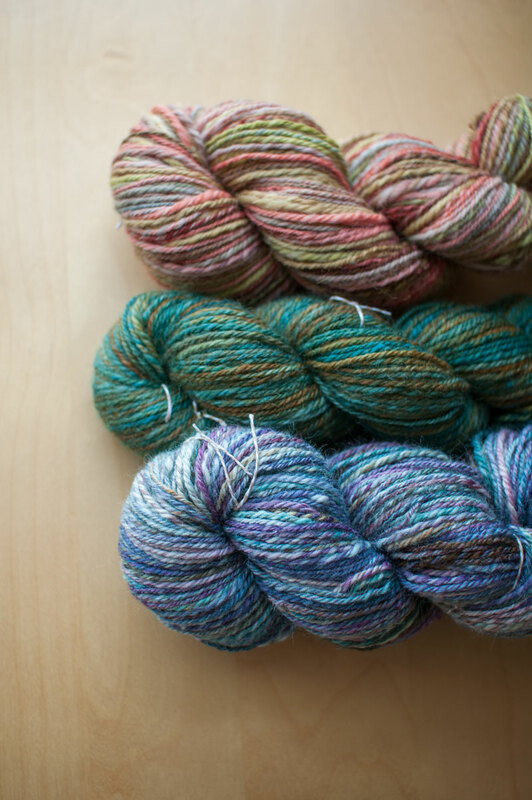 The silk takes dyes differently than wool, so the plied yarn has a great marled effect to it. Snooker Mitts feature a seed stitch cuff and simple buttonhole thumb. The main body of the mitt is worked in a pattern that mixes seed stitch with slipped stitches, which I really like – the purl stitches really sparkle in the Twizzle yarn. There are three sizes, and although I personally have small hands, I knit up the Large size to make sure there would be enough yarn! 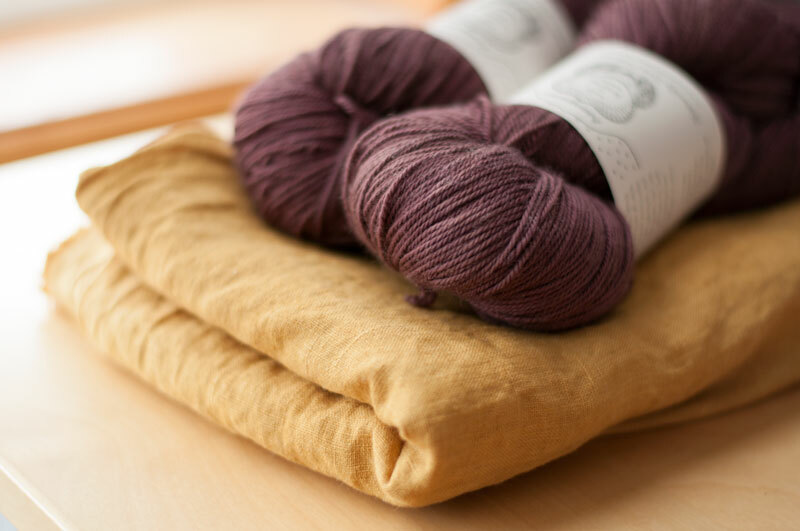 Looking for a little project to kick start your fall knitting? 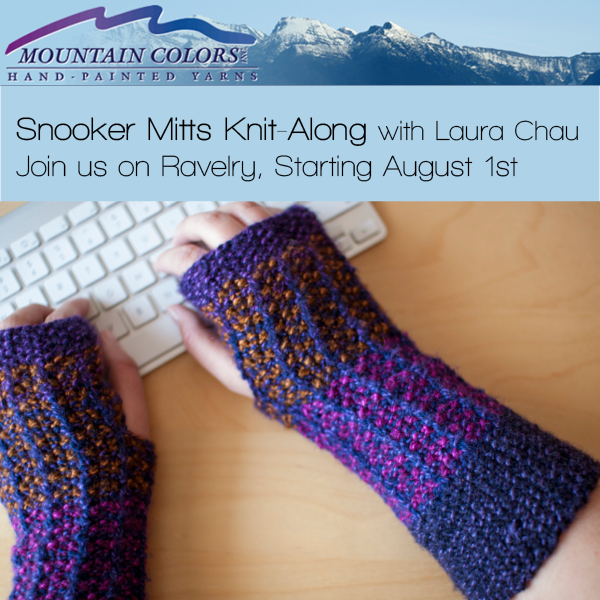 Join us in the Mountain Colors Ravelry Group for a knitalong starting August 1! 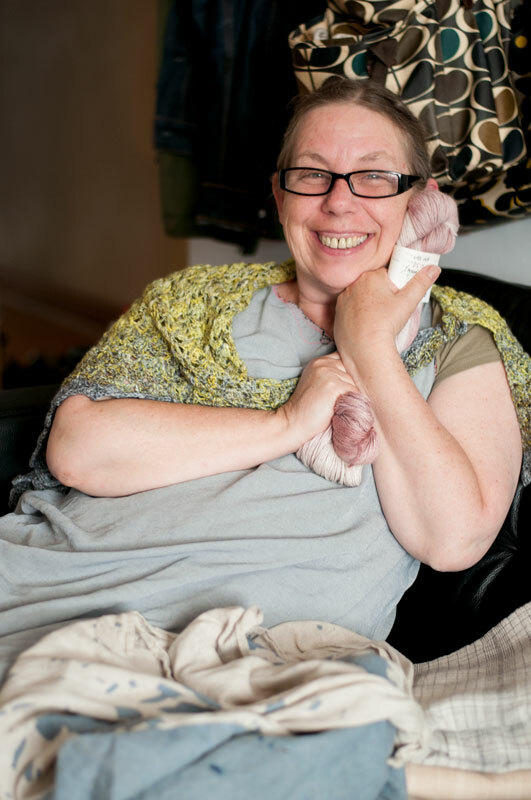 You can of course start earlier if you want, the pattern is available now. 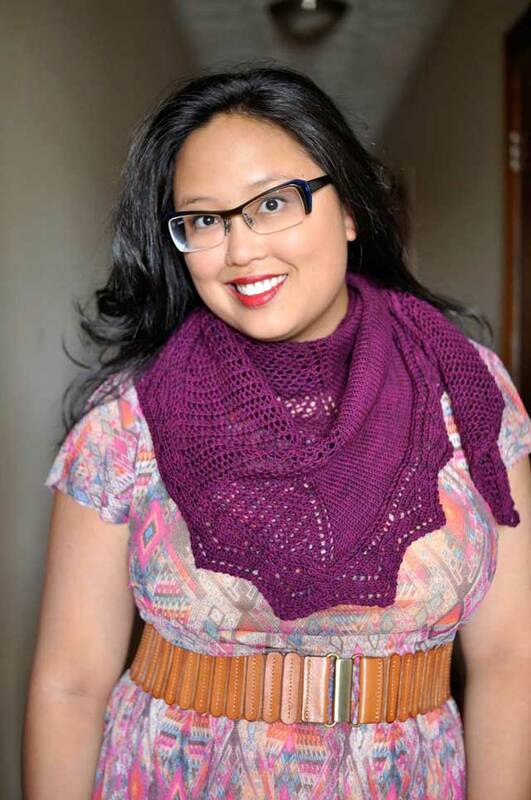 The knitalong will run from August 1-22 in the Mountain Colors group, and there are prizes! Check out the KAL thread for more details. 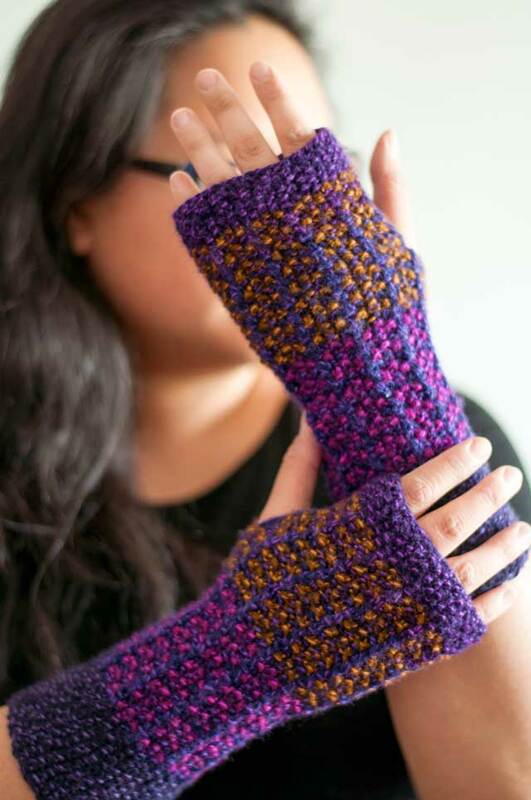 Fave, queue and buy Snooker Mitts on Ravelry!